Hotel Baba Palace one of the small budget hotels in Udaipur, located bang opposite Jagdish Mahal, with Lake Pichola at its back. The hotel has clean and comfortable rooms on offer. If you're planning a quick trip to Udaipur and looking to save a bit on hotel costs, this is the place for you. Airport Transportation, Business Facilities, Exhibit Space, Backup Generator, Parking, Conference Hall, Wedding Services, Currency Exchange, Beauty Services, Breakfast Services. Complimentary Newspaper, Direct-Dial STD, Complimentary Toiletries, Attached Bathroom, Smoking Rooms, Wakeup Calls, Child Care, Desk, Slippers, Toothbrush/Razor on Request. 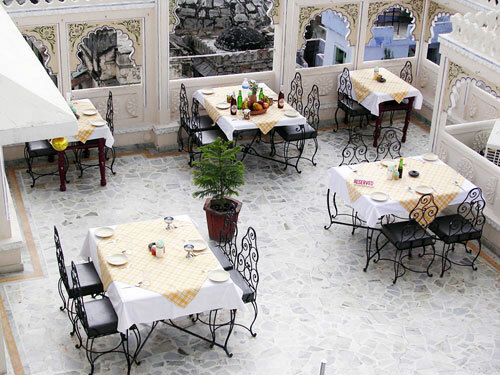 User reviews for "Baba Palace Hotel Udaipur"